Toss the shrimp with lemon pepper seasoning. Preheat your skillet and add the olive oil. Cook shrimp about 2 minutes per side, or until fully cooked. Set aside. 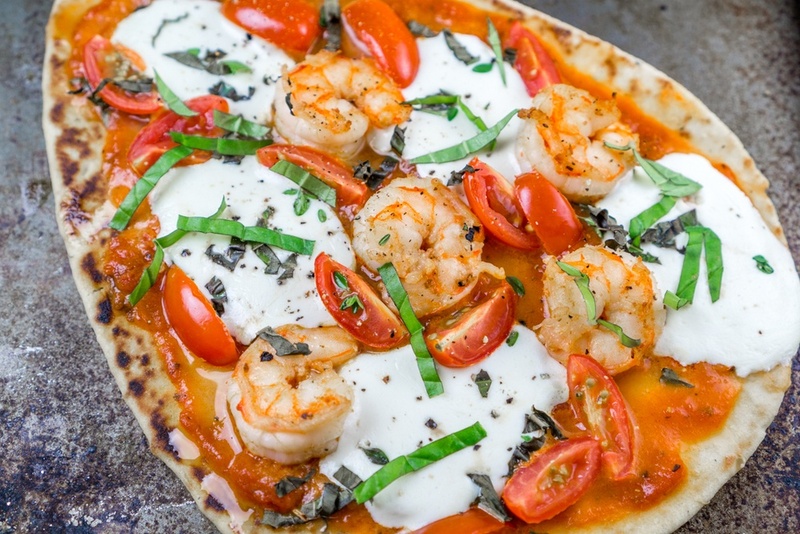 Assemble the pizzas on a large baking sheet: Top each naan with 1/4 cup Marinara Sauce, mozzarella slices, grape tomatoes, shrimp, and half the basil leaves. Sprinkle with freshly ground black pepper, if desired. Bake at 400F until the cheese has melted and the pizzas are heated through. Garnish with the remaining fresh basil leaves.